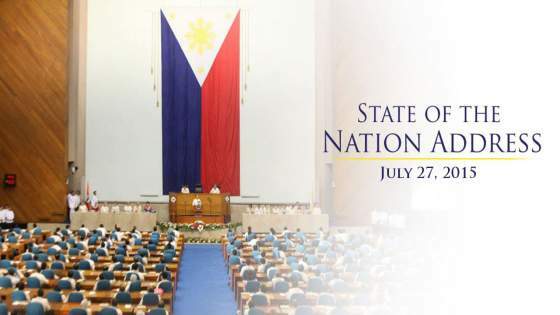 WATCH: Full video of President Aquino's 6th State of the Nation Address (SONA) on July 27, 2015 - Balita Boss! President Benigno S. Aquino III delivered his last State of the Nation Address (SONA) at the opening of the third and last regular session of the 16th Congress at the House of Representatives Plenary Hall, Batasan Pambansa on Monday, July 27, 2015. Watch 2015 SONA of President Aquino, his sixth since he assumed office in 2010. The full video is embedded below. Hence, you can also watch the SONA here. The full video of the SONA 215 was brought to you courtesy of the Official Gazette of the Philippines and Radio-Television Malacañang.